Coming off the success of ‘Green Book’, the ‘Captain Fantastic’ star is also trying his hand on writing the script for the film about a gay man whose conservative father moves in with him and his family. Viggo Mortensen has landed Laura Linney for his directorial debut. The “Green Book” star has also recruited Hannah Gross, Sverrir Gudnason and “House of Cards” star Terry Chen for “Falling‘, which is now underway in Toronto, Canada, according to Deadline. Mortensen also wrote the script and stars in the film – as a gay man whose conservative father, played by “Aliens” actor Lance Henriksen, moves in with him and his family. 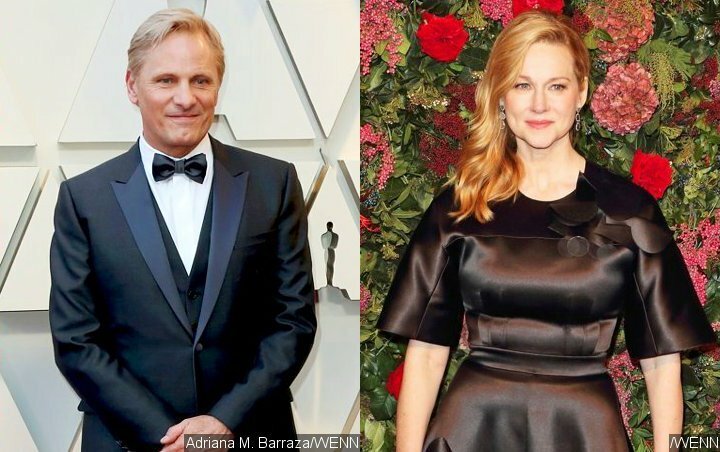 Linney will play his character’s sister, while Gross has been cast as the mother of Viggo’s John Peterson, and Chen will play his partner. Mortensen, who will also produce the project, has teamed up with his Eastern Promises production designer and editor, Carol Spier and Ronald Sanders, for “Falling”. Viggo is coming off the success of “Green Book”, which picked up the Best Picture Oscar last month. He was also nominated for a Best Actor prize, but lost out to “Bohemian Rhapsody” star Rami Malek. He also has crime drama “Unabomb“, about an FBI agent who leads an unconventional team on the hunt for notorious murderer Ted Kaczynski, in pre-production.